Cathedral City auto body shops are known for the quality of work they provide. This is not surprising. The unforgiving winds in Cathedral City, which bring all manner of dirt and foreign elements, will do a number on a car?s body. So auto body shops in the area are fairly busy, and will not get away with shoddy work. However, if you really want to make the most out of your visit to a Cathedral City auto body shop, there are little known secrets in the industry that you should be mindful of. Read on to find out what they are. Sometimes it?s good to visit the shop personally. That way, you can see their workplace. We are not saying that you should expect the shop to look as pristine as a showroom. You will naturally see a lot of oily, rusty equipment and tools and you?ll see various car parts out in the open (especially if it is a busy shop), but you should still look if they are organized and clean. It?s normal for car parts to be scattered around, but trash and unrelated materials are not. Try to see if it looks like a place where mechanics can work comfortably. If not, then you will have to wonder whether they would be able to work on your car properly if they are uncomfortable, distracted, or plain ornery. An organized, well-maintained workplace is a sign that the shop has a good work ethic and integrity. If a shop is not displaying their certifications or certificates showing industry accreditation, ask them and take the time to research the company online. If you want your car taken care of, you should leave it in the hands of trained and accredited professionals. Most shops will have interns and apprentices, but they should have people who have proper training. Be wary of shops that don?t have one. This is frequently neglected information, until it is too late. Different Cathedral City Auto Body shops have different ways of charging customers. Some use a flat rate for their technicians, some have an hourly rate. There are different things to watch out for in these cases. Mechanics that are paid flat rate will get paid the same amount no matter how much time they took, so they can be lazy or they could rush the job just so they can take on more clients. However, mechanics that are paid on an hourly rate might choose to work slower just to pad out their time and increase their income. This is where the reputation of a shop comes in. You want to make sure you are going with a credible shop that employs honest and skilled workers. 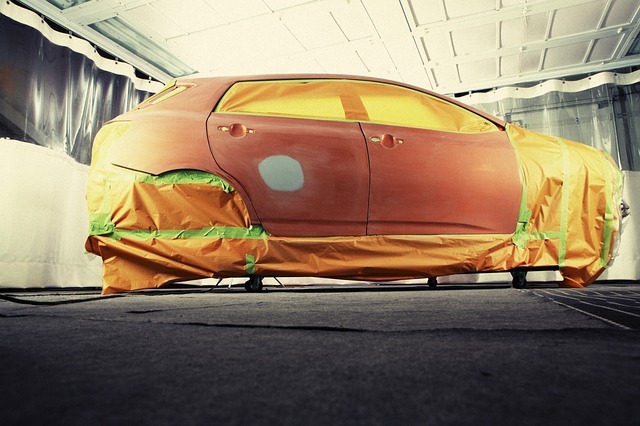 Looking for a Good Cathedral City Auto Body Shop? If you need a dependable and trustworthy Cathedral City auto body shop, look no further than Davies Auto Care. Contact us today and we will give you a free quote.